True Health Diagnostics agreed to pay $37.1 million to acquire Health Diagnostic Laboratory (HDL) after emerging as the successful bidder at a U.S. Bankruptcy Court auction, HDL said today. The sale is subject to final approval by Judge Kevin R. Huennekens of the U.S. Bankruptcy Court for the Eastern District of Virginia. He has set a Sept. 16 hearing on the matter. Headquartered in Frisco, TX, privately-held True Health specializes in advanced clinical laboratory testing intended to help healthcare providers more accurately diagnose, manage, and prevent the progression of cardiovascular diseases, genetic disorders, diabetes, and other metabolic conditions. “HDL’s culture of innovation and scientific excellence and commitment to compliance with healthcare regulatory requirements aligns perfectly with ours,” True Health CEO Chris Grottenthaler said in a statement. “Together, we will have the scale and talent we need to pursue new market opportunities. Founded in 2008, HDL provides comprehensive biomarker testing and clinical health consulting for earlier disease detection and targeted disease management. In addition to lab testing, HDL offers patients personalized overviews of their lab results and counseling intended to promote healthier lifestyles. In June, HDL filed for protection from creditors under Chapter 11 of the U.S. Bankruptcy Code. According to a court filing, HDL’s largest unsecured creditor is the U.S. Justice Department, which is owed $49.5 million after the company agreed in April to settle federal allegations that it violated the False Claims Act by paying physicians in exchange for patient referrals and billing federal health care programs for medically unnecessary testing. 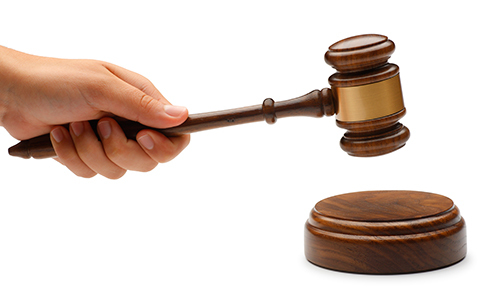 HDL had named True Health as the auction’s “stalking horse” bidder on September 4. True Health’s initial $32 million bid rose during the bidding process by more than $5 million, as multiple bids were submitted during yesterday’s auction, held at the Richmond, VA, office of HDL’s restructuring counsel Hunton & Williams. The transaction is expected to be completed by the end of the month, HDL said. “HDL, Inc. is pleased that our cutting edge diagnostic testing will continue to be utilized in the vitally important and continuing battle to fight cardiovascular disease and diabetes,” HDL President and CEO Joseph McConnell said in a statement.